Many of the province’s obstetricians are thinking about leaving Nova Scotia or retiring if policy changes aren’t made soon. Many of the province's obstetricians are thinking about leaving Nova Scotia or retiring if policy changes aren't made soon. "We are facing an obstetrical coverage crisis in Nova Scotia," said Dr. Don Wescott, the only full-time obstetrician in Antigonish. 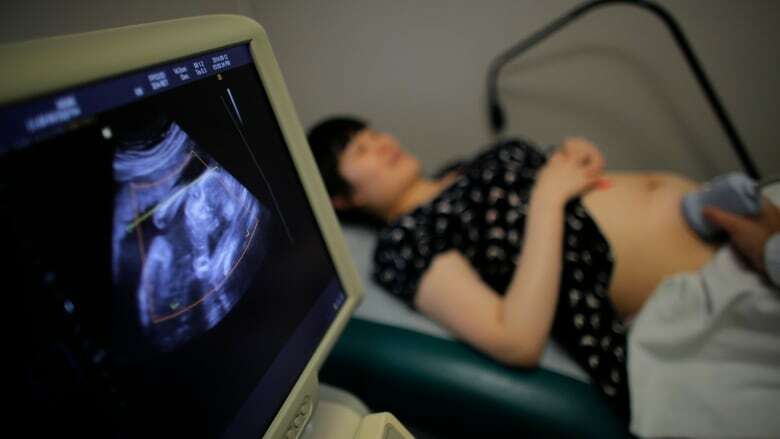 Obstetricians are facing a drastic increase in the fees they pay for malpractice insurance to the Canadian Medical Protective Association (CPMA). The province had been funding the malpractice insurance to the tune of 90 per cent, less a $1,500 deductible. This year physicians found out they would only be reimbursed the same amount of money given in 2014. Since the fee for obstetricians went up $30,000 this year, they are on the hook for that increase. On Wednesday night 24 obstetricians went on a conference call to talk about the increased fees. There are about 40 doctors in this specialty in the province. Amherst obstetrician Robyn MacQuarrie says nine of those doctors are thinking about retiring or leaving Nova Scotia. It adds another burden on a specialty facing recruitment problems. Wescott submitted his resignation six months ago, telling the health authority he would work for six more months unless they were able to recruit someone to help him. Right now he is on call two out of every three nights. The only other obstetrician in Antigonish is part time. No one signed up to take his place yet. "I can't see us attracting high quality physicians who will be planning to become part of rural Nova Scotia communities like I have been for the last nearly 20 years," he said. Wescott and his colleague treat patients from as far away as Cape Breton. He worries what will happen to women facing high-risk pregnancies if they have to travel another half hour to New Glasgow, or even further to Truro or the IWK in Halifax. "That's an onerous weight to put on these young, labouring mothers," he said. Physicians coming out of medical school graduate with an average debt of $200,000. This increased out-of-pocket fee is going to scare away new grads, says MacQuarrie. "No young obstetrician in their right mind would want to move here unless they were independently wealthy," he said, adding the financial attractions in other provinces are much higher. MacQuarrie herself is a new graduate practicing part-time in Amherst. This is not a case of rich doctors not wanting to pay a fee, she said. "I love working in rural Nova Scotia. I find my job incredibly rewarding," she said. "But it's not an issue of I'm not making enough money, it's an issue of I'm losing money and I can't afford to do that." MacQuarrie has paid $4,500 a month since January for her insurance. This month she will get a quarterly cheque from the province that won't even cover a month's worth of those fees. "I have to continue to pay all the costs but it's not like there's a way to go and generate increased income," she said, adding she still has to pay administrative staff and cover other costs of being in practice. No other province has stopped paying the full tab for malpractice insurance fees, the doctors say. The Department of Health and Wellness and Doctors Nova Scotia wouldn't speak to the concerns raised by the province's obstetricians. The two groups said they wouldn't be commenting because they are entering into contract negotiations. The contract expired March 31. Wescott, a past president of Doctors Nova Scotia and a signatory to that contract, says he thinks the government should still be paying the agreed upon 90 per cent minus deductible. "Government has simply ignored that contract," he said.